Where are all the Gorillas? 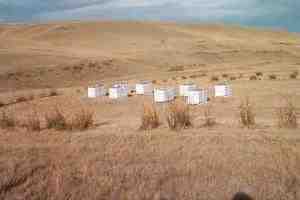 This is an apiary, isn't it? Alright, settle down. Stop throwing things. Hey! That hurts! Okay, I promise: No more disgusting puns for a while. Ouch! Okay, for a couple of days. Ow! Ow! Okay, okay, a week then! Just put down those tomatoes!